With a flavour that seemingly crosses citrus and passion fruit, sea buckthorn (an orange berry) is seemingly the current ingredient du jour. 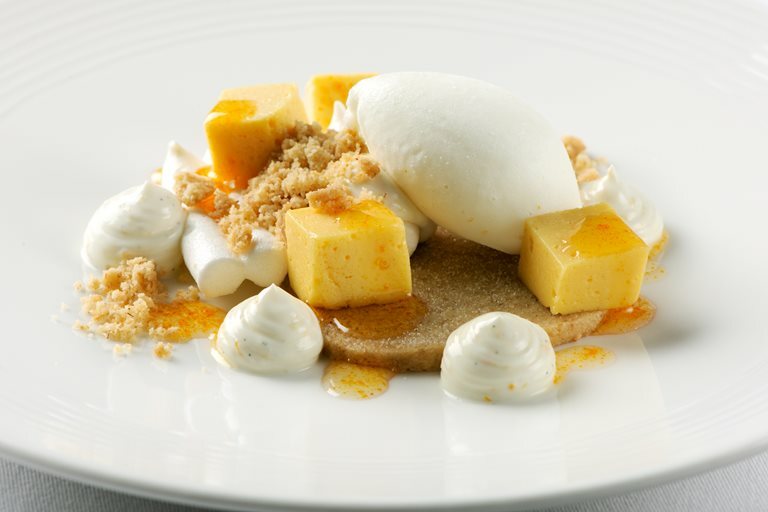 Here, Cornish chef, Nathan Outlaw, uses the locally found ingredient to make a challenging yet vibrant meringue recipe. Sea buckthorn juice can be found in health shops, as it’s currently being touted as a high-antioxidant superfood.